We are manufacturing and supplying a vast range of Test and Measuring Instruments. These instruments are precision engineered and manufactured as per the international industry standards. 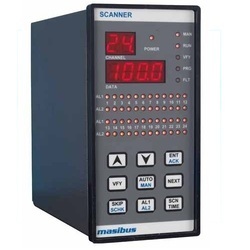 Our organization offers an extensive range of Scanner Model 85XX, which has modular structure and provided with plug-in cards. The programming, configuration, calibration and operation are controlled by front panel tactile keys. Moreover, the individual alarm and trip setting is also provided for each channel to ensure better functionality. Common Rail Injector,pump and fuel rail tester meets the demands of testing of all types of injectors and fuel rails as well as common rail pumps of different makes including Denso, Siemens, Bosch, Delphi.These testers allow one to vary pulse width of injector as well as also vary engine RPM (N) that determines frequency of spray from injector. With the assistance of our diligent team, we are offering our clients a wide range of Portable Immersion Surface Temp Instrument 905. 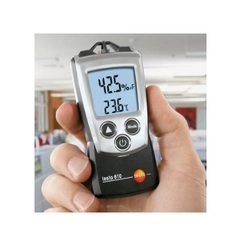 These TESTO 905-T1 is one of the fastest mini-thermometers having a broad measuring range of -50 to +350°c short-term (1-2 minutes) up to +500°c. 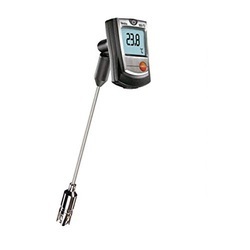 Our range is useful especially in the higher measuring range, and provides accurate results. The quality range of Portable Air Humidity and Temp. Instrument model 610 offered by us is manufactured in line with set industry standards. These are provided with wet bulb and used for measuring dewpoint. We offer our range in various technical specifications at industry leading prices. Looking for Test And Measuring Instruments ?